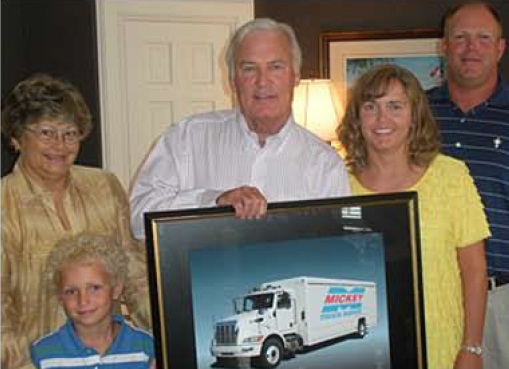 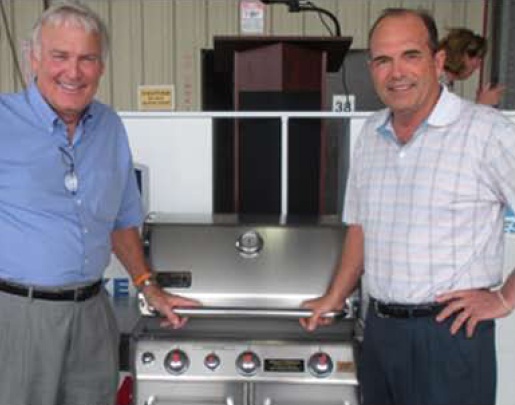 About 60 people, including family members, friends and current and former colleagues, gathered at the High Point City Club in High Point, NC on June 12, 2013 to honor the career of Wayne Childress, who retired from Mickey Truck Bodies after a stellar 29-year career. 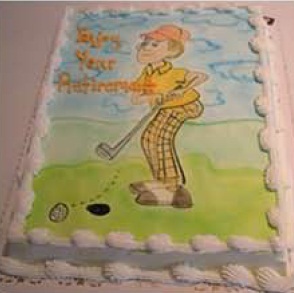 Wayne’s friends wanted him to have his cake and eat it, too. 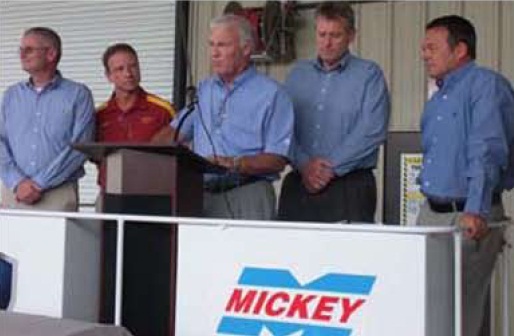 Wayne(C) with current Mickey beverage & engineered vehicles sales team(from I): Gary Remley, Steve Mason, Tom Arland (VP) and Dane Meyer.